Poker can exact a toll on your soul. If you ante up and put your money down on the poker table, then it should be up to you to make sure that you can afford to play. However, many people are addicted, and can not afford to play. Is this a reason why so many big-name poker players are so charitable? Do they feel bad about the profession they have, or are poker players just inclined to be more charitable than other professions? Jennifer Harman just recently had a poker tournament that saw all the proceeds (minus a WSOP Main Event seat) go to charity. This event was very well-attended, and the people playing had no problem giving thousands to charity. 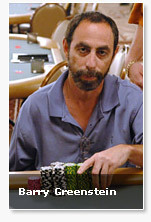 Barry Greenstein is a very famous example of a charitable poker player. He gives all of his net winnings in poker tournaments straight to charity, with most of the proceeeds going to Children, Inc. There are many other examples of poker players giving quite large sums of money back to charity. Even Phil Hellmuth is quite active in giving to charity. Is there an ulterior motive here, or do they just love to give? I think that it depends on the person. I can see someone like Greenstein, Harman or Negreanu giving to charities because they ultimately believe in the cause, and because they are good people at heart. When Phil Hellmuth Jr. posts in his blog about how much he gives to charity, I believe that it might be more for his image and for ego-stroking. That's just my opinion though. You would be surprised by just how charitable some poker players are.